We like to talk about what makes us outraged. This is true in the media. This is true among our friends on Facebook and Twitter. It is true everywhere, because we are humans, and we are innately drawn to fear and anger. Outrage gets ratings. It can be intellectually seductive. And so we listen. And if you’ve been listening to the outrage, then you have heard people talk about a world that is dark and scary and terrifying. It is a world that is worse than before. Maybe you share this view. This is not wrong, necessarily. The world is a scary place. But it’s always been that way. You think the past was better? Then you haven’t studied your history. Please check your frame of reference. Do you want to go back to pre-1973, when you could be drafted and die in combat without having a choice? You want to go back to the 1980s, with its 14% unemployment and 15% inflation, plus the constant fear of nuclear annihilation? Seriously, when do you want to go back to? You want to go back to a time with no electricity, or running water, or indoor heat, which was true for 99% of all human history? Ask any old person and they will tell you about the days they could leave their house without locking the doors. They’ll lament about the rise in crime, specifically violent crime, over their lifetime. Except … none of that is true. 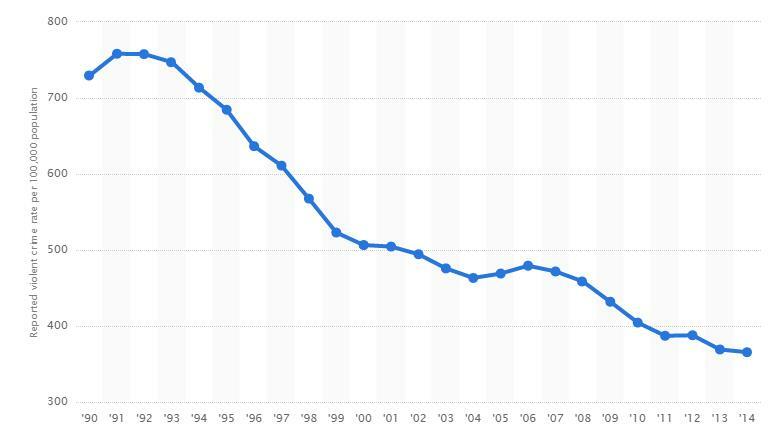 Violent crime rates in the US have dropped significantly – and continue to drop with each passing year. In 1991, the year I was born, there were over 750 violent crimes for every 100,000 Americans. It’s now closer to 350. So why does it feel like crime rates are going up? Well, there’s terrorism. School shootings. Gun violence. It seems like these have only increased over the years. But in reality, you are far less likely to die of a violent crime in 2015. 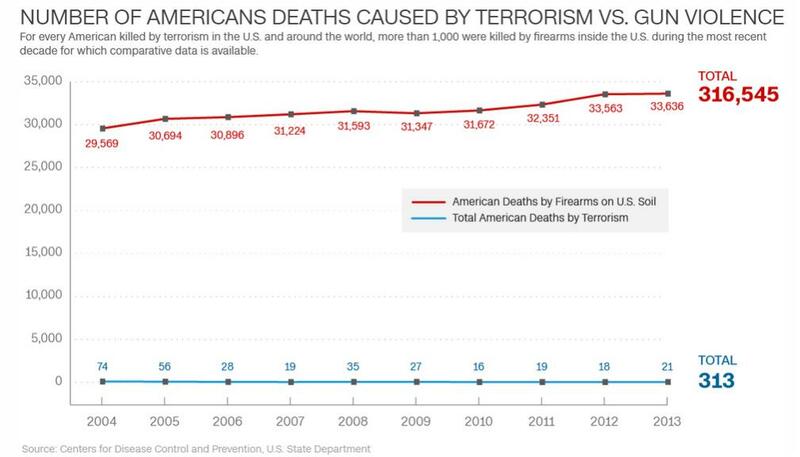 If we were rational beings, we would be more concerned about gun violence at home than terrorism abroad. But we are not rational. Terrorism is scary and unknown and random. As a child of New York and a runner of the 2013 Boston Marathon, I can attest to that. First, let’s talk about our friend GDP, or gross domestic product. GDP is the aggregate monetary value of all the finished goods and services produced. So when we talk about growing the ‘real economy’, we’re really talking about GDP, or the total output we create in a given year. GDP growth has hovered around 2-3% for the last few years. It’s not a particularly sizzling rate of growth. But it is growth. And yet many people think we are still in a recession. Do people know what a recession is? It’s two consecutive quarters of negative GDP growth. We haven’t had that since September 2009. In 2015, the United States’ GDP will be at its highest point ever, over $18 trillion in the aggregate. Well done, everyone. OK, now let’s talk about unemployment. We’ve had 68 consecutive months of job growth and an unemployment rate that has halved since 2010. We are now at 5% unemployment, a rate that the Fed deems full employment. Say what you want about the Obama administration, but there’s no doubt that his fiscal policies have been huge drivers of job creation. Like, how could you look at the chart above and think otherwise? Finally, we have the stock market. Now, I must put on my finance hat and note that the stock market is not the economy. Corporate profits do not define the health of a nation. As an example, in 2015 we saw lower oil prices and a stronger US dollar. Both were great for the American consumer. But they had negative effects on the market, especially oil suppliers and companies that do a lot of business abroad. That said, millions of people have their savings locked up in 401k’s and pensions and mutual funds, and their livelihood is directly tied to the performance of the market. So while the stock market is not the economy, it is hugely important. The S&P 500 dropped by more than 50% between October 2007 and March 2009, and I am so very thankful that I did not reach retirement age in 2008. But the market has recovered all of its losses and then some in the six years since, compounding at a yearly rate of almost 20%. 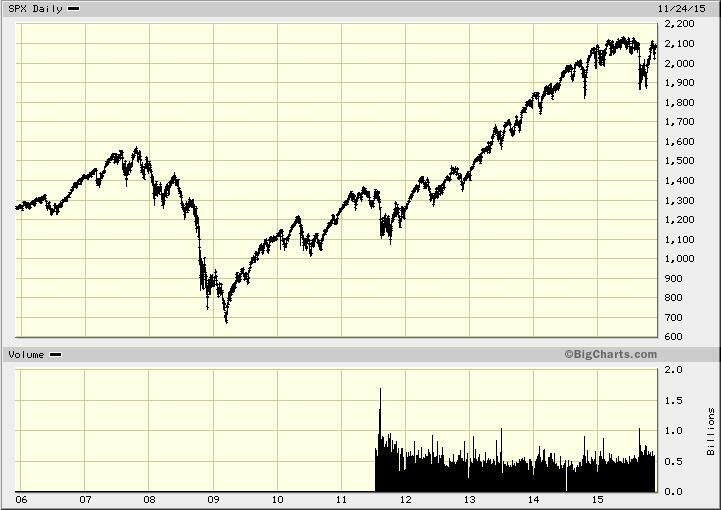 This year, the market reached its highest point ever. Yes, there are still problems in the economy. We need better infrastructure – our roads and highways and railroads and bridges and tunnels are crumbling. Millions of Americans are living in poverty. The real median household income has been stagnant for quite some time. But on the whole, we are in a much better place in 2015. Could you imagine, twenty years ago, that in 2015 the vast majority of us would have a device, in our pockets, that held all of the world’s information? It could send signals to space and back in a tenth of a second. It could make phone calls and play music and record video in HD. And it would cost a small fraction of what computers cost in the ’90s. We have Google Maps. There is no excuse to get lost anymore. You can calculate the most efficient routes to any place in the world. You can get real-time traffic data. You can find places to eat. We have Amazon. You can buy anything you want from the comfort of your own home. We have logistical systems that, while still flawed, are vastly improved. Shipping. Mass transit. Air travel. Food production. Sometimes I walk around New York City and I think to myself, how does all of this food get here? The process of feeding nine million people, in a confined space, every single day, goes largely unnoticed. Food does not spontaneously appear. We’ve developed these amazing systems to transport, store, and serve food on the largest of scales. Back in the 1970s, there was a pretty big concern about overpopulation, made famous by Paul Ehrlich’s* book The Population Bomb. It warned of the mass starvation of humans in the 1970s and 1980s due to overpopulation, as well as other major societal upheavals, and advocated immediate action to limit population growth. And guess what? 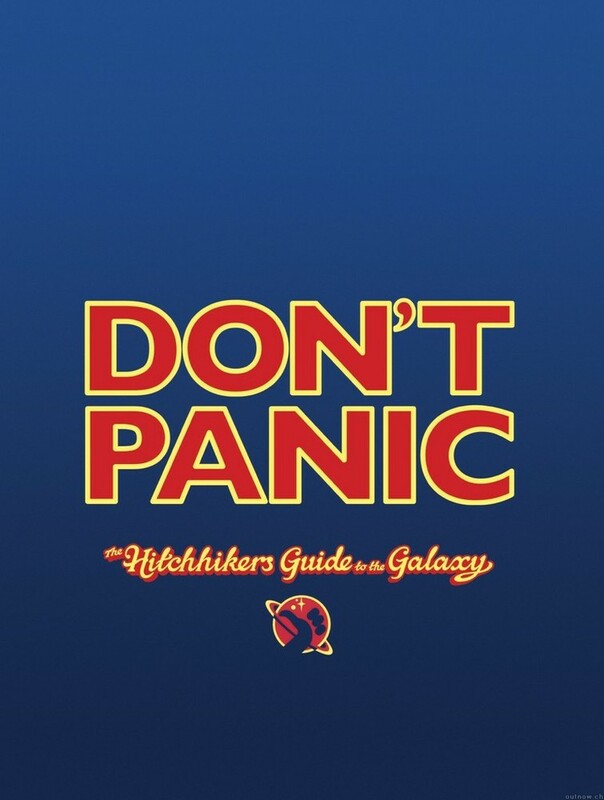 The population did explode – the world population has more than doubled since the book’s release in 1968. And we’ve adapted. Hunger and poverty rates have dropped worldwide. Despite all of these objectively cool and amazing things, why does it feel like everyone is always complaining? We’re doing alright, guys. We are living in the best time. As I’ve said many times before, it is not a bad thing to have optimism as a default setting. So I’ll say: I think 2016 will be even better than 2015. And I hope this trend continues, every single year, until the inevitable heat death of the universe.